Reduce data entry by up to 75%, calls by 30% and increase job creation by 80%! Your Business. Optimised with digital by us. 8 out of 10 enterprises worldwide are going for significant increases in their mobile spending. By 2019, total revenue from enterprise applications will move beyond the $200b USD mark (cloud subscriptions and licence/maintenance revenues). What’s more – ‘mobile technology for businesses’ is no longer limited to mobile applications only. The need of the hour is to make use of advanced, end-to-end encompassing systems that bolster the already existing back office setup at your enterprise. That’s precisely where we come into the picture. Dusk Mobile specialises in delivering high-end, mobile-first software solutions that take your operational activities to the next level. You get a fully customized mix of innovative strategising, competitive licensing and completely scalable user-models from us – geared to improve business efficiencies. With us by your side, you can rest assured of getting efficiencies and savings…soon! Open communication is a key watchword in our planning and development phases. Our in-house experts take time out to understand each and every aspect of your business, and visualise the impact of new designs and software solutions. We follow iterative development plans – with our base solution being presented to you within a maximum of 30 days. Right through the design phase, our team closely collaborates with you. No delays…no fuss…No undue expenses…just the tech support you need. Over the years, we have constantly strived to come up with software tools, platforms and solutions that are highly responsive, deliver robust, long-standing performance, and offer the best possible user-experience. Competition levels are rising in the world of business – and to stay ahead in your niche, you need custom software with shorter development and deployment cycles. Dusk Mobile offers you just that. To date, we have worked with multiple products from global industry leaders, like IBM, Oracle, SAP, and Salesforce. Our experiences and capabilities, and consequently, our software solutions are constantly being refined and upgraded. Get in touch with us…and allow us to transform your enterprise! Are you ready to run smarter with data? The Dusk SMS Connect product has been developed to work with companies who need or want to communicate with their customers via a dedicated SMS, containing a short link that directs the customer to a beautiful set of mobile rendered web forms. Use cases include questionnaires and surveys amongst others. 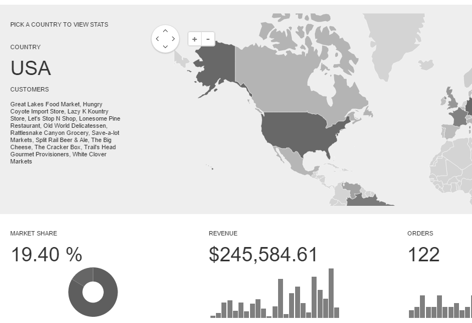 Full reporting via email, pdf and digital dashboard included through our SaaS model per month. Our Customer Service product, SMS Feedback provides for real time customer feedback via mobile. The SaaS product uses rating stars and key performance indicator buttons tailored to your business with a gamified back end displaying trophies and statuses. A great product as an input to 360° customer feedback and the net promoter score of businesses. Send the feedback to the customer after the interaction and act on the response immediately. Dusk Utilities Status has been developed following a number of years working in the industry. Understanding the challenges and developed in conjunction with the industry. Functions include SCADA network status on mobile through Android and iOS applications, delivered securely. 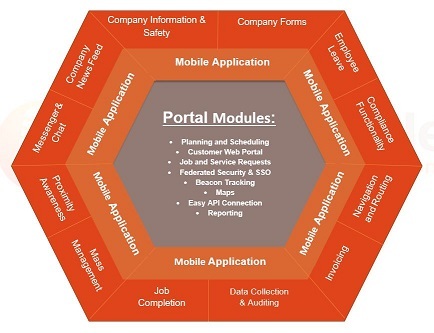 Also other mobile portal initiatives to interact with customers both before, during and after outages. Innovative and game changing for the industry. The Dusk IoT Suite uses sensors and real time units (RTUs) integrated to a cloud based solution built around a core engine for sending and receiving data. Using batteries with up to 10 years of life to send and receive information. Dusk Payments is a customized online payment gateway solution which offers a reliable way to accept payments and keep your customers’ card data secure, protecting your business and customers from fraud. It offers customers a choice of payment options and helps businesses get paid sooner. Digital Recontracting has been developed by Dusk Mobile for organisations that either need to, or wish to contact their customers by SMS and receive information back, via digital means. Job Schedulr is part of our Digital Operations Platform. It helps streamline the field service management process from end-to-end and includes scheduling, online booking, work order management, estimating, dispatch, routing, GPS, CRM integration, optimisation, quoting, invoicing, payments, reporting, and more all accessible over the internet from any desktop or mobile device. When designing solutions we work on user centered design. That is taking the time to understand the user and focus on the problem. Using our industry knowledge, creativity and design experience enables us to best serve the end user. For example, consideration is given to technical ability, business process, hardware choice and data requirements both in the field and back in the office, plus many more. Engagement of the end user audience via Subject Matter Experts or nominated champions is vital for sign off before the build phase commences. Our highly skilled mobile application development team deliver truly innovative solutions. Working closely with your team, our Business Analysts will spend time capturing your requirements. From here we create wireframes of how your solution could look. If you still like it, we quickly build you a Proof Of Concept (POC) to “touch and feel” how a solution could look as an app. From here, anything is possible! Following an Agile methodology, we pride ourselves on delivering to you a functional mobile solution in sprints. We follow an iterative process to our app development and encourage the engagement to evolve through open communication. A strong group of end users ensures this captures the role of their peers, whilst moving through the sprints. 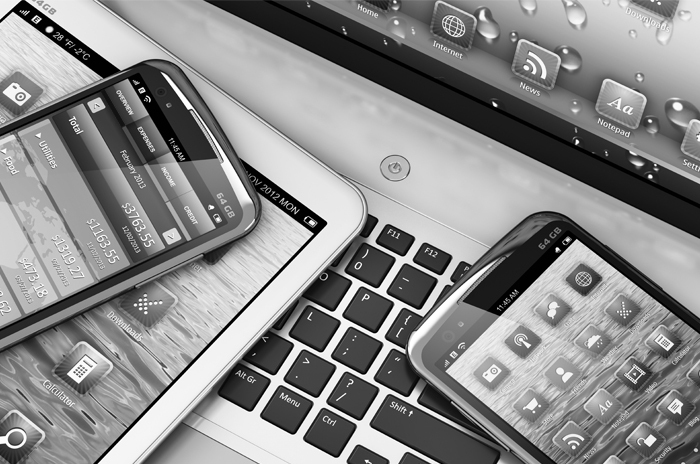 Our clients use iOS devices, Android devices, Windows and even still Windows Mobile. We cater for all. Xamarin or multi platform development, no issues. Our apps take the consumer expectation of usability to the business requirement of function.